MOON TOWNSHIP — After a pair of convincing Northeast Conference victories last week, the Robert Morris women’s basketball team (12-8. 9-0 NEC) is back in action with two more NEC match-ups in the near future. The first of these games will see the Colonials square off with the Bryant Bulldogs (6-14, 4-5 NEC) this Saturday, Feb. 9 at 7:00 p.m. at the North Athletic Complex. Then, just two days later, the Colonials will be back at the NAC for a matchup against the Central Connecticut Blue Devils (6-13, 3-6 NEC). Robert Morris will enter this pair of games riding a nine-game win streak. The latest victim in this streak was the Fairleigh Dickinson Knights who the Colonials easily handled and were able to win by a final score of 63-43. 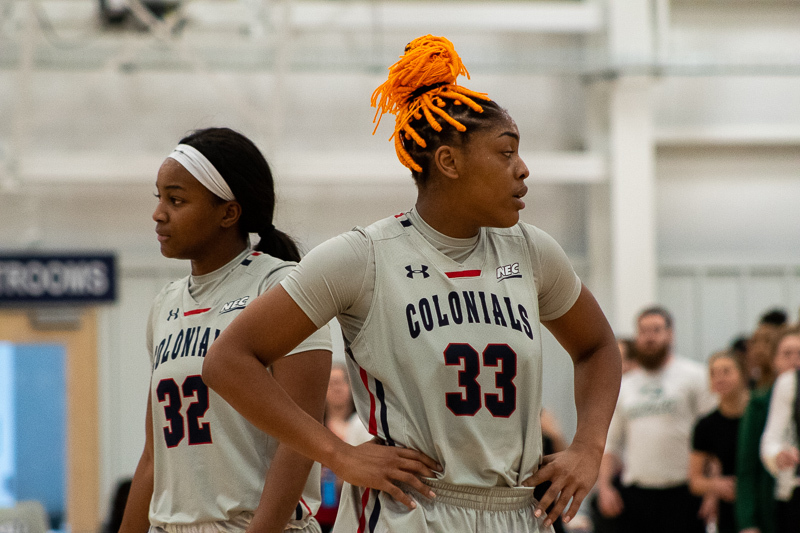 The Colonials were able to display how deep their roster is as three players scored in double digits and two more were able to put up nine points. RMU also put on display the different ways that they can score. Nneka Ezeigbo, who has been dominant in the paint of late, continued to be strong down low as shot 3-6 from the floor but was a perfect six for six from the charity stripe. The Colonials were solid from beyond the arc as well, Honoka Ikematsu and Nina Augustin went a combined 5-8 from three-point land as the pair put up a total of 19 points. Isabella Posset was another guard who had a big night as she shot 4-6 from the floor for nine points. In addition to that Natalie Villaflor put up 10 points of her own. 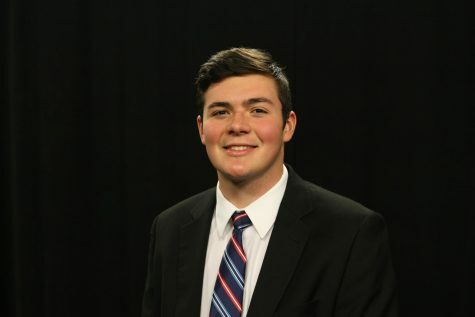 Since conference play has started, RMU has essentially dismantled all of their opponents, that is with the exception of two teams, and those two teams happen to be the same ones traveling to Moon Township in the coming days. The Bulldogs dropped their first game of the season against the Colonials by a score of 60-57. Since then, Bryant has split the four games that they have played in, but since beating the Blue Devils on Jan. 26, the Bulldogs have dropped their last two. This includes a heartbreaking 66-65 loss to CCU last Saturday. Despite the recent losses, Bryant has gotten consistent production from star junior Sydney Holloway who has put up 47 points in her last two games and in her last outing against RMU, she put up a solid stat line with 12 points and 12 rebounds. As for the Blue Devils, they fell to the Colonials earlier this season by just seven points in a game that ended with a score of 64-57. Since that loss, they have gone 2-1 and will enter their game with the Saint Francis Red Flash (9-12, 6-3 NEC) on Saturday riding a two-game win streak. During this streak, CCU has been led by senior guard Kiana Patterson who has put up 44 points in the two games, and in the Blue Devils trip to the NAC earlier this season, Patterson dropped 15 points to go along with four assists and four rebounds. Nneka Ezeigbo (RMU): While this can easily be considered a cop-out pick, Ezeigbo has earned the right to be mentioned as one of RMU’s most notable players going into any contest. The last time Ezeigbo squared off with each of these teams she managed to post 12 points in each game. In those two games, she also managed to grab eight steals, five of which came against the Bulldogs. As of late, Ezeigbo has been on an absolute tear. In her last three games, she has averaged nearly 14 points per game (13.66) and 12 rebounds per game. If the Blue Devils or Bulldogs want to hand the Colonials their first loss of conference play they will need to try to stop Ezeigbo from taking over the game. Sydney Holloway (Bryant): Holloway is simply one of the best scorers in the NEC, there is no other way to put it. She currently sits in fourth place in the entire league in terms of points (353) and points per game (17.7). What is impressive about this, is the fact that the 5’10 Morgantown native has put up these numbers while only making four shots from beyond the arc. In addition to her scoring prowess, Holloway can be considered the best rebounder in the conference as her 12.2 rebounds per game leads the conference. She is the only player to average double digits in the rebound column and in fact, she averages over three rebounds per game more than Kathrine Haines of Sacred Heart who ranks in second place in the category. Holloway is the only player in the NEC to average a double-double (17.7ppg, 12.2 reb) and if the Colonials want to continue their undefeated record in conference, they will need to try to stop one of the NEC’s best. Kiana Patterson (CCSU) After the Colonials are tasked with dealing with the fourth leading scorer in Holloway, they will be then responsible for attempting to deal with the NEC’s fifth-leading scorer in Patterson. The 5’6 senior from Troy, New York averages 17.1 points per game on 37.9% shooting. Patterson can get the job done from beyond the arc too, as she is fifth in the NEC in three-point shots made with 46, However, she only makes a third of these shots, but what sets Patterson apart is her ability to distribute the ball. She is tied for sixth in the league with assists per game as she averages three per contest. Patterson also keeps the ball secure as she is one of five NEC players who have a positive assist to turnover ratio with her ratio of 1.2 which is good enough four fourth place in the conference. The Colonials are entering these two games on fire, and after a full week off from their last contest, I expect the well-rested Colonials to come out firing and win both of these games. I predict that they will defeat the Bulldogs 69-61 and then go onto beat the Blue Devils 71-55.